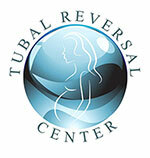 Here is a Tubal Reversal Review from Traci, who underwent Successful tubal ligation reversal from Dr. Morice in 2007. Dr. Morice actually made it possible that with the one fallopian tube that I do have that we were actually able to conceive. We are now expecting our son; his name is Brandon Zachariah in April, April the 13th is when we are due and we are very excited. Check out How Tranise who had her Tubal ligation done a few years back was able to become pregnant again after having her tubes reversed successfully by Dr. Morice. Listen to her story in her own words. Courtney had three children from her previous marriage after which she decided to get her tubes tied. After she met Matt, they both decided to have a family together and get her tubal ligation reversed. The Surgery went Successful and in two months they would be able to start trying to extend their family now. My name is Raymond Young and I’m from Detroit, Michigan. And me and Clarissa, we met at Walmart in the produce section. She was stocking fruit. We have four kids, ages twelve, ten, nine and eight. All boys. I had my tubes tied in 2006. I met Raymond in 2010. We were married in March of 2011. And I decided to have a tubal reversal. He was acting all scary, but I decided to do it. Hi, my name’s Chris Brown, I’m 40. I work offshore. I’m Barbara Brown, I’m 40 also. I’m a nurse. We’ve been married for three years now, we have six children between us. And thanks to Dr. Morice, now we have one together. After speaking with Margie, she told us all the stuff that we needed to bring with us, like our history, my records from my previous doctor about my last tubal ligation and everything. Hola, yo soy Gabriela. Él es mi hijo Dylan y nació cuatro semanas atrás. Gracias a la cirugía que el doctor Morice hizo de reversión de trompas. Cuéntenos un poco acerca de su vida. ¿Cuántos hijos tiene? ¿De dónde es usted? De México. Tengo cuatro hijos, tres hembras y un varón. Una familia grande, ¿ah? Sí, una familia grande. Pero, realmente contentos y felices. Malia and Jay are another of Dr. Morice’s successful tubal reversal surgery couples. We enjoyed having them sit with us and chat about their decision to have a tubal reversal performed. They explain a little about their history and talk about how excited they are for the new addition to their happy family.